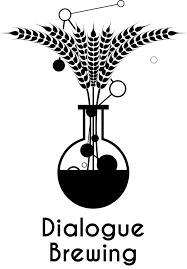 At Dialogue, we want to be able to share our homemade brews with not just customers that walk through our doors but to anyone and everyone who wants to try our unique brews! Growlers are most common way of bringing your beloved craft brews home. Growlers are reusable and provide enough volume for beer not just for yourself but to share with others.